They are very hardy animals and can live in very poor conditions with little water and poor grazing. 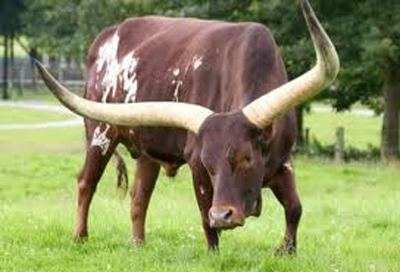 Ankole cattle have a medium-long head, a short neck with a deep dewlap and a narrow chest. Their horns are extremely long and grow outward on either side of the head. They also have fairly large ears through which they lose heat. Most often the coloration is red but fawn, black or pied are not uncommon. In Africa the animals are highly prized as status symbols, for ceremonial functions and not for their productivity.